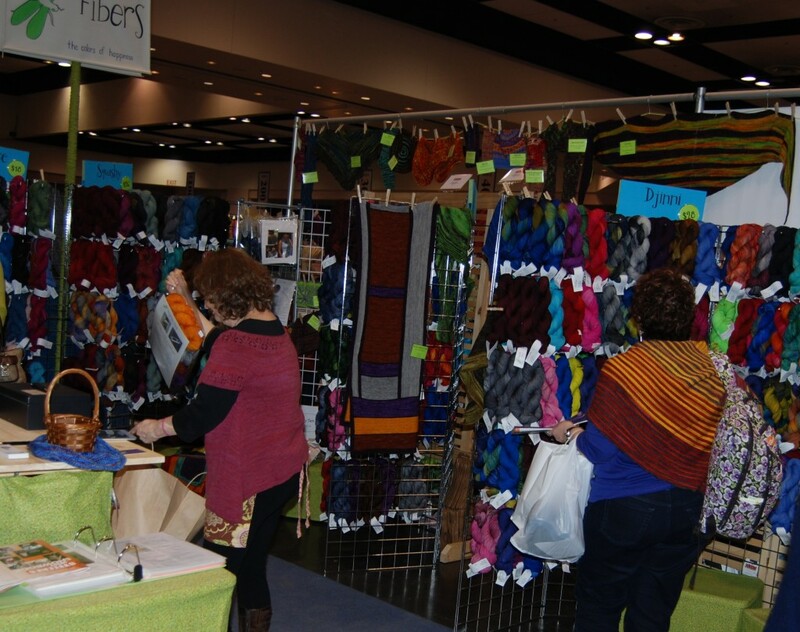 If you want the short version of my trip to Stitches West 2014, I present you with the photo below, and it’s all the story you need. My purchases, my class project. Admire and move on with your day. But, you want detail? Sure, we can do detail. How does one start describing Stitches West to one not in the know? A yarn palooza? Outside Lands for knitters? Cosmic exultations in the 6th dimension to the 9th degree?One shouldn’t try. 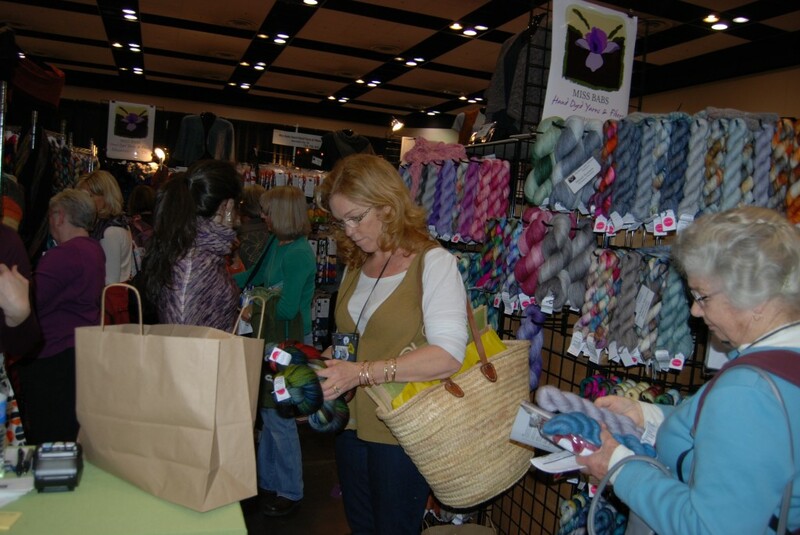 It’s an experience that should be mandatory for every knitter. I will tell you over and over: you had to be there. The consumer side of this event is huge. How huge? You had to be there. When it comes to clothing, give me a package of black t-shirts, a pair of black sweats or blue jeans, and I have my wardrobe for the year. But I make up for that in yarn. Forget black, bring on the cOlorS. 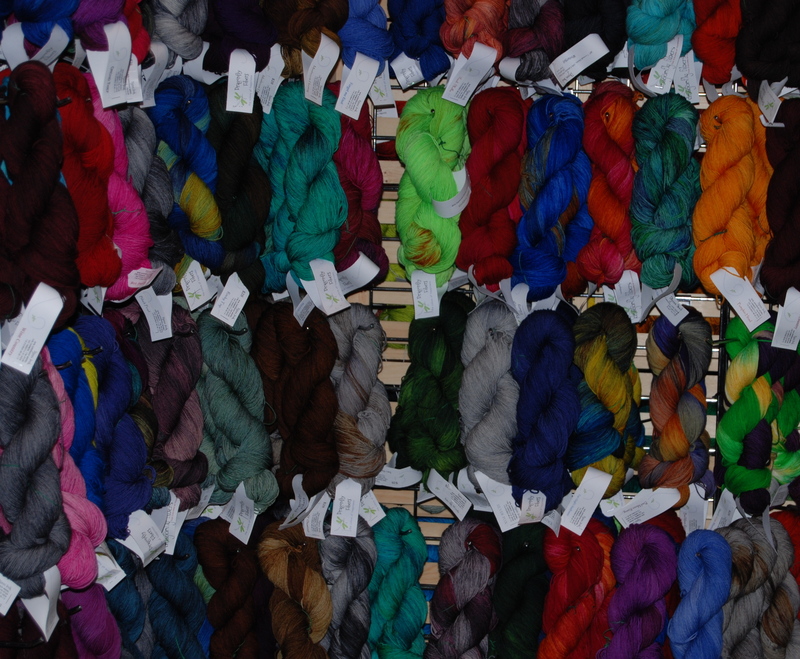 The yarn fumes surrounded me and I started walking floating through the marketplace. My credit cards just floated right along to their machines and swiped themselves, I hardly noticed (until the receipts started showing up in my email at night). In exchange, these wonderful fiber people gave me the most gorgeous yarns. You had to be there. Shopping was at least half of my experience and the introduction to Stitches. Thursday afternoon/evening, from 5 pm to 8 pm, there was the market preview. I stood with hundreds waiting for the doors to open. I’ve never taken part in a national shopping holiday where folks gets crushed and trampled on, so this is as close as I imagine ever getting to such an experience. People, almost only women, hooting and hollering and being happy. A celebratory and anticipatory atmosphere. You had to be there. There were some, and you know who you are, who immediately made a beeline to the Plucky booth. To see that, you had to be there. Whoosh, they were gone. I took my chances and strolled the road less traveled, counting on friends to leave me some Plucky yarn. I had a method: up and down the aisles like I do at grocery stores. I do grocery stores without a shopping list. I learned. With a shopping list, I run from one side of the store to the other, zigzagging along because there is no plan on the list. Eggs, at the left of the store, broccoli, way back to the right, lettuce, same place, cheese, somewhere in the back, and on and on. So I did my walking without a list. Up and down. Well, that lasted all of two booths or 10 seconds when I spotted something in another aisle and then another and another and so on. Because, unlike in a grocery store, you can actually see what’s in the other aisles. 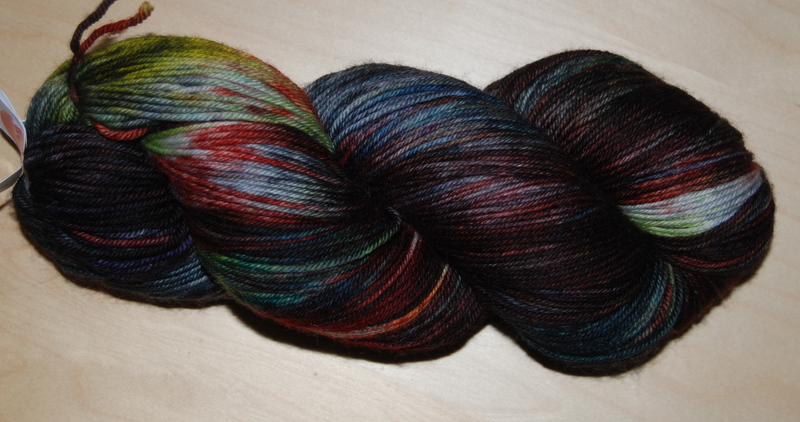 I finally reached some of my favorite yarn and fiber people: Dragonfly Fibers. This is where I made my first purchase and received my first gift: a project bag! I love everything about their yarns. Including all their luscious colors. 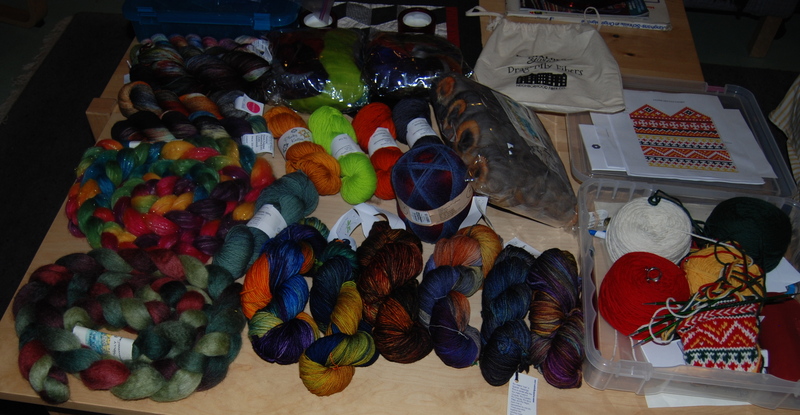 One problem: I kept on picking the same colorways in the different weight yarns. I did force myself to pick different colors — not too different; I do have favorites. 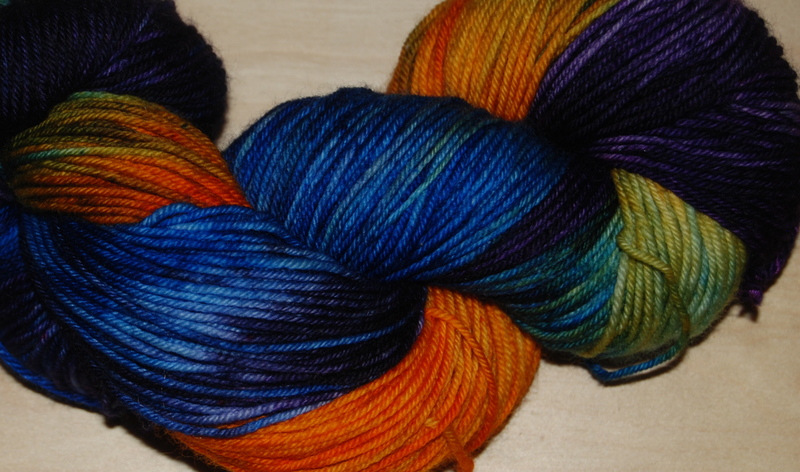 I will never tire of sock yarn. But I do recognize a need to branch out as you can see in the above yarns. Some of them are downright fat yarns. 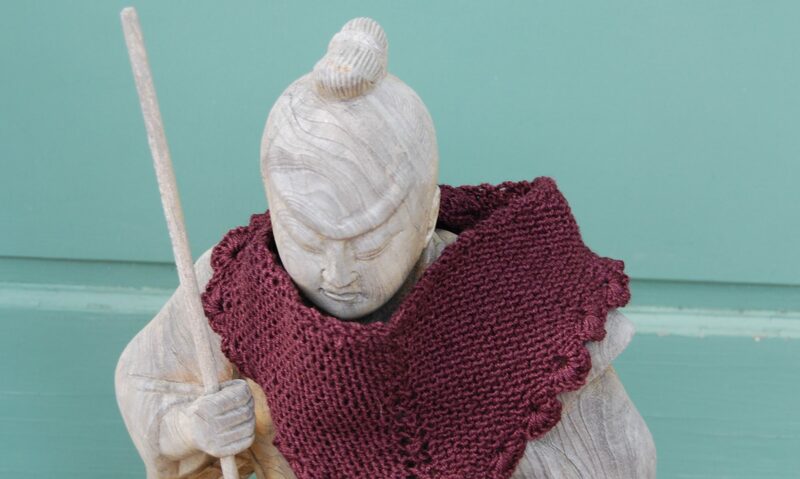 That has a lot to do with a recent pattern discovery: Zuzu’s Petals. You come back here and you’ll find out what I’m talking about. I meandered on. The next booth stopping me dead in my tracks, and not for the last time that and the following day, was Miss Babs. No lasso needed, I just threw myself into their booth. And I was not the only one; part of the Nevada City gang had already arrived. Here, the same problem: most yarn I picked up was the same colorway. I’m attracted to any color with the word zombie in it. Doesn’t matter what colors you actually see, but if it has the word zombie, it must be yarn my kids would like, right?! I’m counting on it, anyway. Then I get weak when I see the color Berlin. Color: Biker Chick? Why not! 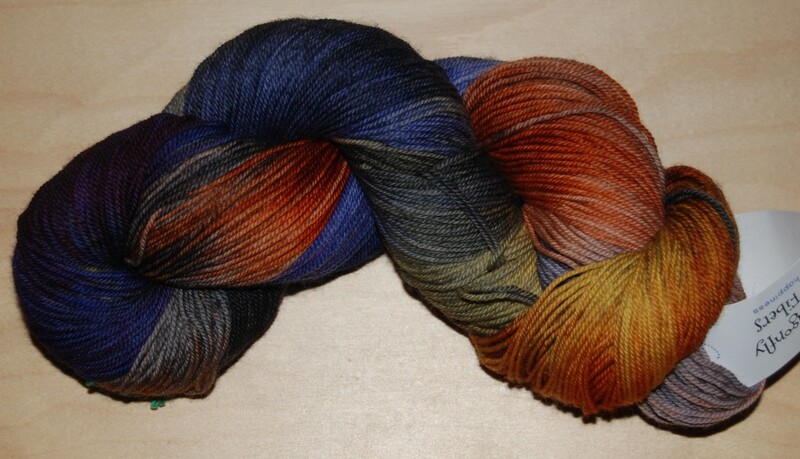 And throw some of that masquerade color in; it’s almost Mardi Gras. And oh, how soft can yarn get? For some reason, and with powers I’m not familiar with, a skein took hold of me and would not let go. I tried, believe me. Color was a minor consideration here. Can you say cashmere with silk? I might not knit this up but just wear it around my neck as a skein. Or use it for a pet?! The color, you ask? Celebration, and celebrate I will with it. I have a feeling that many of us succumbed to that particular yarn and am wondering how many will show up with it on knit night. 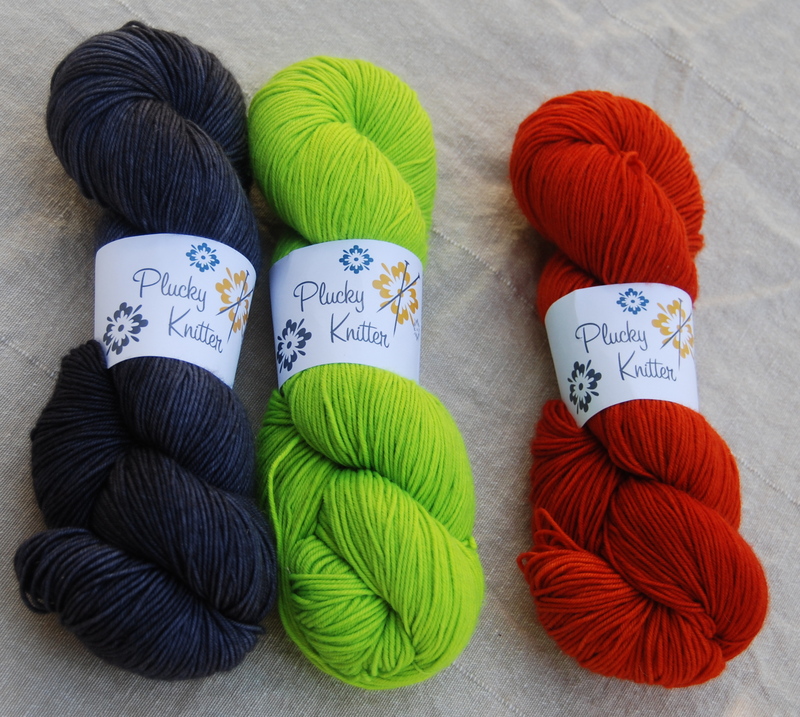 Making sure I would have a few colors to choose from, I headed to Plucky. And found the three colors I was looking for and two more. What can I say: this is Stitches. You had to be there. Lonesome Highway has to be one of my favorites. I love how it affects other colors, and it is so many colors itself: gray (and that’s gray with an a and not an e), purple, blue, black shadows. Whatta Punk, hmm, OK, let’s admit it, I’m also a sucker for any yarn that has the word punk in it. The neon green, you had to be there. This almost completes my first shopping day. Not bad for 3 hours work, eh? The pictures are getting too many and loading this post probably takes you forever. Let me finish here and give you some more photos and stories in another post.